If you’re having a hard time catching those necessary Z’s, consider getting a great price on a mattress at the Memorial Day sale at Meyers Furniture. How do you know if you need a new mattress? Counting the years may not be the best way to tell. Some people keep their mattresses for decades, but they may be having health problems caused by chronic poor sleep. Different mattress-makers and furniture stores will may give you a broad range of expiration dates for your mattress, but most sources say about eight to ten years is a good rule of thumb. There are some obvious and not-so-obvious signs. The lumps, springs, and saggy spots are the obvious ones. But the slow changes in your mattress are sometimes hard to register if you’re not paying attention. If you sleep better when you zonk out on the couch or recliner in the living room or wake up on a hotel bed feeling much more refreshed than usual, your bed’s mattress isn’t doing its job. Sleep deprivation causes an array of health problems that deeply affect your life, physically and mentally. Health website prevention.com offers some interesting signs that you may not realize signal the need for a new mattress. For instance, if you wake up with a runny nose, it may be that your old mattress is harboring years’ worth of dust mites and other allergens that are making you feel unwell. Also, if it’s taking you more than an hour to fall asleep, it may be your old mattress causing the insomnia. Mattresses come in so many different variations from materials to firmness to construction to price that it may make you dizzy to think about choosing the right one. Mattresses generally are categorized as innerspring, foam, and adjustable air. They have all have their own advantages: innersprings are easy to move around on and roll over; foam molds to your body; adjustable air gives you choices in the amount of firmness. How will you know which one is right for you? Come into Meyers Furniture in Rochelle or Mendota and lie down for a while! 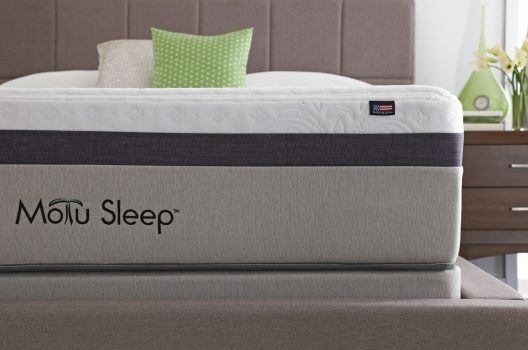 Spend 15 minutes feeling the firmness and texture of the mattress. Don’t worry. You won’t look funny. Everyone’s doing it. Consider everything, from pressure points to the comfort and movement of a bed partner. Many materials are hypoallergenic, but ask questions about the mattress’ fabrics and foams. Your doctor may even have mattress recommendations based on your health if you suffer from back or joint pain, allergies, or sleep apnea. Remember, your idea of a comfortable mattress may not be what your neighbor or cousin or anyone else thinks is comfortable. Everyone’s preferences are slightly different, so you really do need at try out any mattress you’ll be buying yourself. Ordering a mattress online may be convenient, but may not realistically meet your expectations. So come in to visit this weekend, so you can leave with the promise of a good night’s sleep.